Try these tips when your password doesn't work in Quicken. If you can't remember your transaction password, see the "Have Intuit Remove the Password" at the bottom of this page. If the password contains numbers, be sure the keyboard Num Lock is turned on. 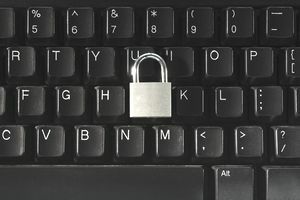 Be sure the Caps Lock key is not on, and then retype the password, being careful to use the correct capitalization. Quicken passwords are case-sensitive. Try all passwords you may have used for Quicken files or other password-protected functions. Move the password protected file to a different or new folder on your computer. It leaves the password protected file untouched in case you recall the password later or need to send it to Intuit for password removal. Restore the backup (Quicken File menu, Restore) and manually re-enter any data needed to update the file. You can choose a new Quicken file password that is easier to remember. If you don't have your own backup file, try restoring an automatic backup which Quicken makes every seven days. If you put a password on your data file recently, the password may not be in this backup copy. Quicken places automatic backups in the BACKUP folder, which you´ll find in the same folder as your data file. See How to Locate Quicken Data Files if you need to. If you haven't already, move the password-protected Quicken file to a different or new directory (folder) on your hard disk in case you recall the password later or need to send it to Intuit for password removal. Choose the most recent backup file from the BACKUP folder that you think doesn't have the password protection: (Quicken File menu, Open, Data folder, BACKUP folder). If you've used Quicken for a while, you will most likely see a number of Quicken automatic backup files. If the file opens, copy it from Quicken to the folder where your data is usually saved. Manually re-enter any data needed to update the file. If your file doesn't contain a lot of information, you may want to consider creating a new file and re-entering the data. In some cases, this will be the fastest, easiest option. If necessary, Click Cancel in the Quicken Password window. From the Quicken File menu, choose New. Enter a filename, and then click OK. Follow the onscreen instructions to set up the new file. If the file contains critical information, Intuit can remove the password from your file. This service is now free for U.S. versions, but it may take a couple of weeks to get your data file back. You need to contact Quicken Support to request password removal from your Quicken data file, or to remove a transaction password. Follow the directions carefully from Quicken Password Removal Service.